After a little hiatus for the New Year it’s time to get back into action with these galleries! Today we are taking a look at a figure that dropped late last year and is utter perfection in my opinion – S.H. Figuarts Hulk from Avengers Infinity War. Tamashii Nations first run at Hulk way back was very comic-booky. Their Ragnarok Hulk was great but the gear was molded in. Here, we get movie level head sculpts, proper color and a full range of articulation. I dare say it’s the best Hulk figure that’s dropped yet. Feels great in hand, construction » Continue Reading. The post S.H. 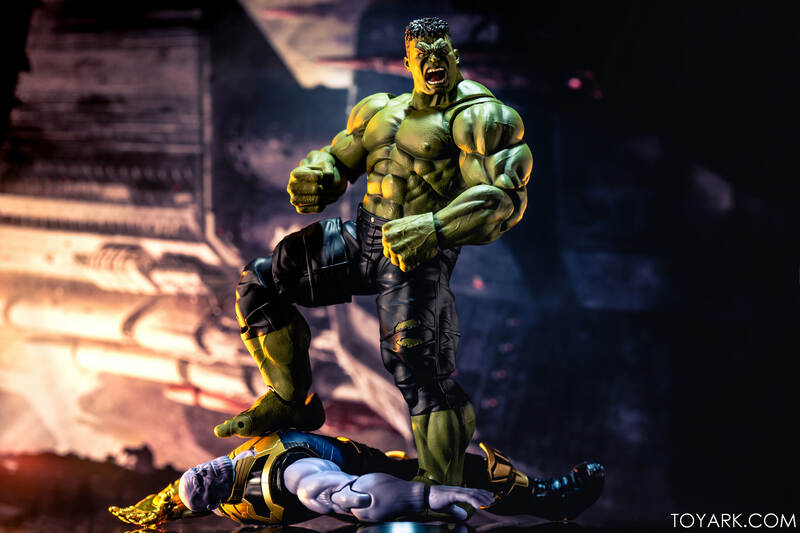 Figuarts Infinity War Hulk Photo Review appeared first on The Toyark – News.